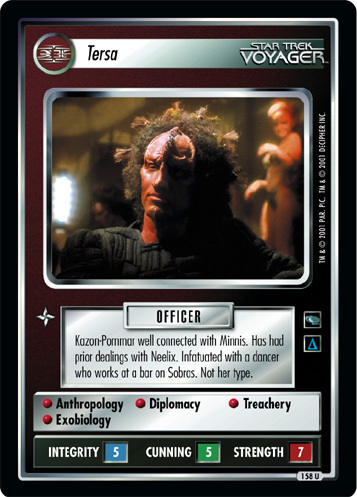 Kazon-Nistrim serving as Seska's aide. 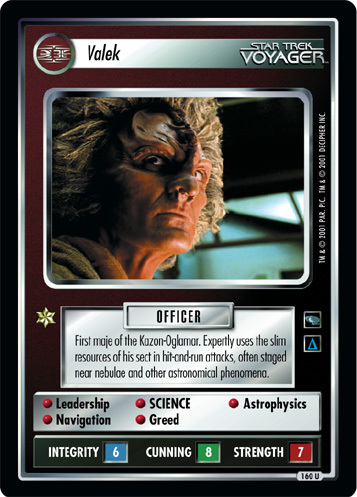 Assigned a suicide mission by Culluh as part of an elaborate plan to take U.S.S. Voyager. Determined to succeed. 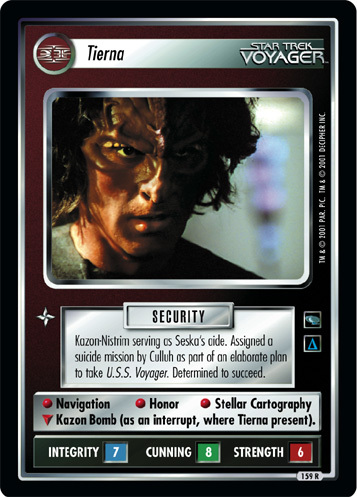 • Navigation • Honor • Stellar Cartography ∇ Kazon Bomb (as an interrupt, where Tierna present).